I’ve seen a lot of “Save Water, Drink Beer” signs, ads, t-shirts and such around southern California of late. Sure, I’ve seen ’em before, but the ubiquity seems a little more pronounced in these days of the drought. This is a good time to remind ourselves, or for some, educate ourselves on the fact that making beer is super water intensive. It has nothing to do with saving water, and breweries should be more responsible in saying so. Depending on the source, and I just did a quick look around the interwebs, a pint of beer consumes anywhere from 8-40 gallons of water to produce it. 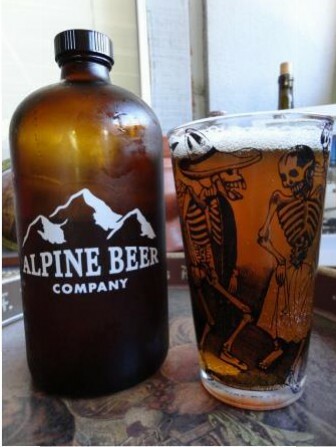 I’m super happy that Alpine Beer Company now has 32 oz grumblers. Instead of drinking a growler (64 oz), I can now save water by drinking less beer, right?!?!?!!?!???!!!!! Previous Post What is Wrong with (MTB) People?